December is the absolute busiest time of the year, especially for parents. There are school holiday parties, baking, shopping, cooking and of course all the wrapping! Each year, I find so many cute holiday crafts online that I want to try, but it can feel overwhelming to find the time to follow through with the ideas. Sound familiar? As a parent, I find multitasking is my true calling in life, so even if you’re busy, I promise you can fit these holiday activities into your schedule. The following craft ideas are fun for the whole family and can be done alongside other holiday tasks like baking and wrapping presents. Just remember, if a small child is participating, be sure to only use age-appropriate supplies and closely monitor them during each activity. Happy holiday crafting! 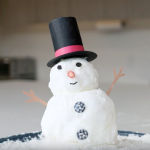 This two-ingredient mixture will have your little ones in the holiday spirit in no time as they mix and mold their very own “snow”! Click here for instructions. 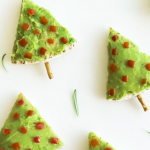 This is the perfect recipe to get the whole family involved in holiday cooking! Plus, they’re a great healthier alternative to sugar cookies or other baked goods. Click here for the recipe. Mix flour and salt in a medium-sized bowl. Add half a cup of water, oil, allspice/cinnamon and lemon juice. Mix well. Gradually add more water until the dough becomes non-sticky and is moldable. Roll the dough out on a floured surface and invite your child to use cookie cutters to create different ornament shapes. 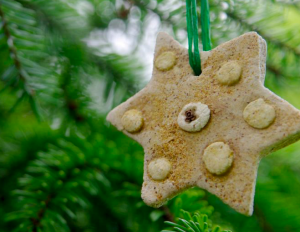 Have your child gently press a finger into the dough to personalize each ornament. Use a pencil to pierce the top of the dough (so you can loop a string through it later!). Let the dough dry for 3-4 days, turning over every 24 hours to help it dry faster. If you want it to dry more quickly, stick it in the oven at a low temperature for an hour or two. It’s time to decorate your ornament! Have your child write a holiday message or draw a picture using a permanent marker. Once all of those presents are wrapped, use remaining paper scraps to create a collage. Arrange paper scraps onto a piece of paper, cardstock or canvas. Paste or mount a family photo or photos to the collage, write the year and frame it. If you’ve pasted these items onto a canvas, be sure to paint over the entire collage with a sealer (such as Mod Podge) to secure the paper and photos to the canvas (this is a step best left to the adults). Keep this family memento for yourself or give it as a personalized gift. 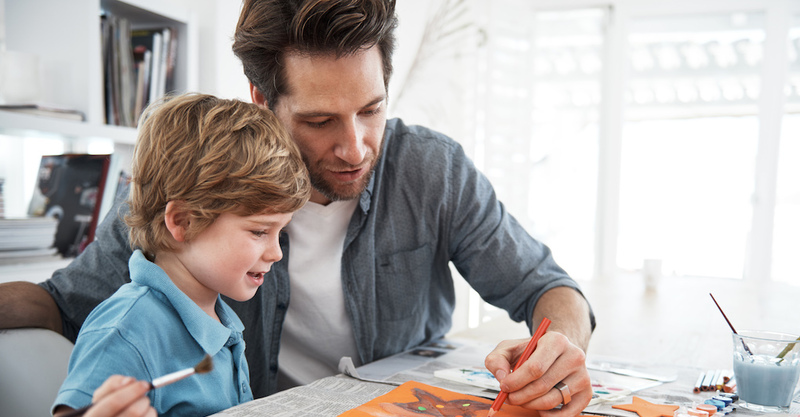 Looking for more ways to get creative with your children? Click here for more crafts and activities. Enjoy some fro-yo on the go with your little one! 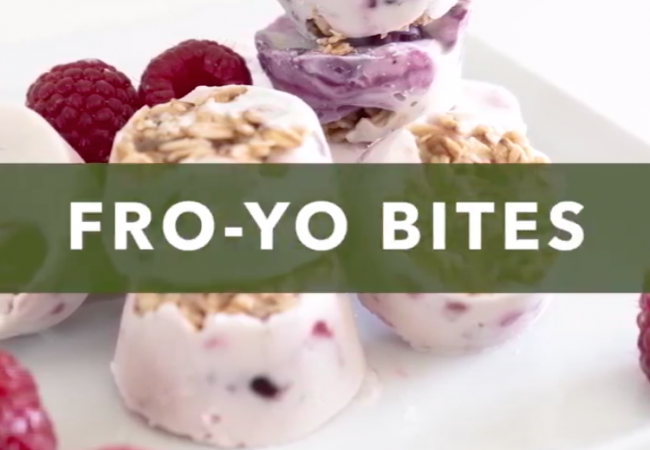 These yummy bites are the perfect substitute for sugary snacks and make for great grab-and-go treats. 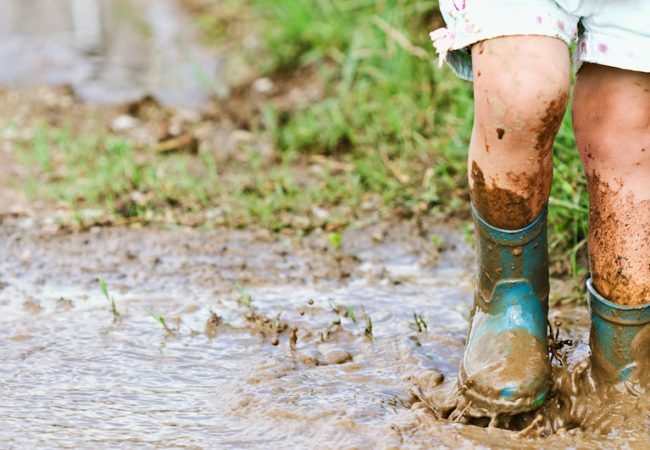 Believe it or not, playing in the mud can benefit children’s sensory development, creative thinking and even their immune system. Try these hands-on activities to explore your backyard and beyond.